Wildlife habitat for ladybirds and other beneficial insects. Give your ladybirds somewhere to over-winter in. 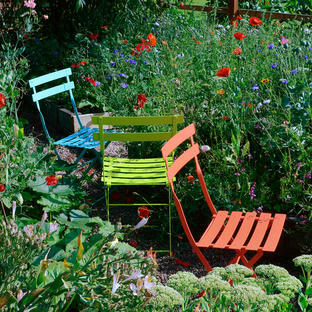 Ladybirds are an especially important insect for the garden and the organic gardener. 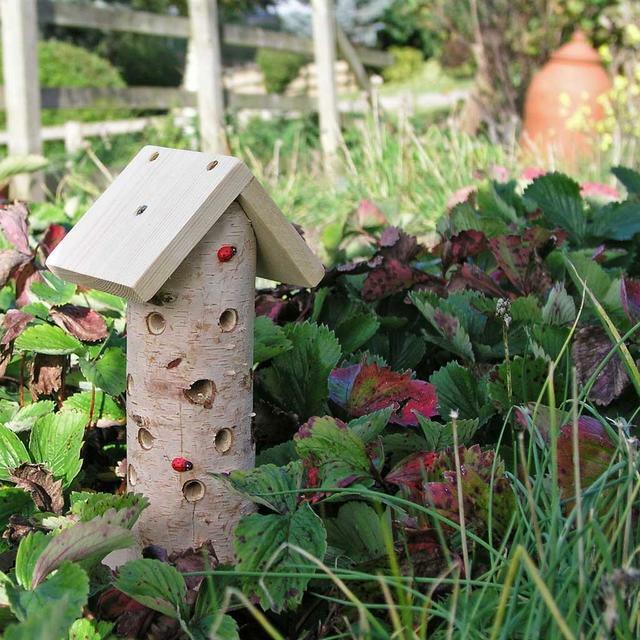 This delightful ladybird tower is the perfect winter habitat for them. The tower has a central chamber filled with natural material. There are many holes drilled all around the tower at an upward angle for the insects to reach the insulated and safe inner chamber. (If required the roof panel may be removed for cleaning or inspection). Siting. There is a ground pole provided which easily fits into the base making the tower able to be sited into lawns, sheltered flower beds, wooded glades or even in planters. Site out of prevailing winds and in a warm location. 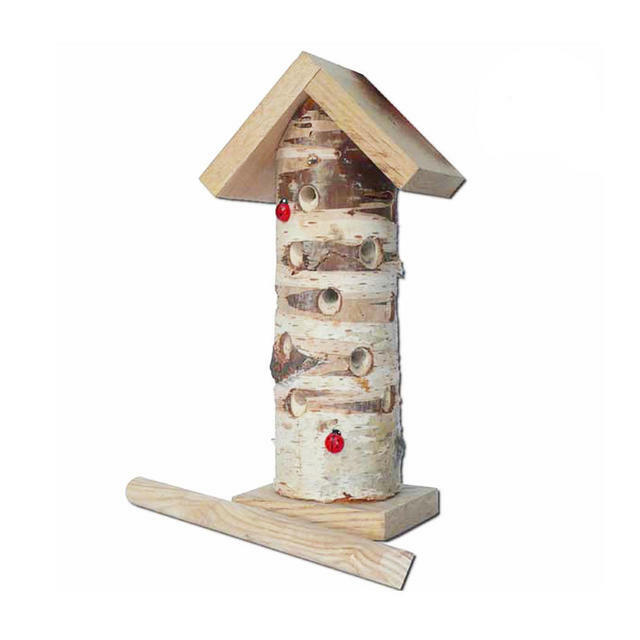 The ladybird tower is an thoughtful gift for young and old alike and is an improved version of an old favourite we've brought back into our range. The main body of the tower is made from birch, whilst the roof and base are oak, larch or similar occurring naturally durable timber, so no preservative need be used as it may be harmful to the insects. 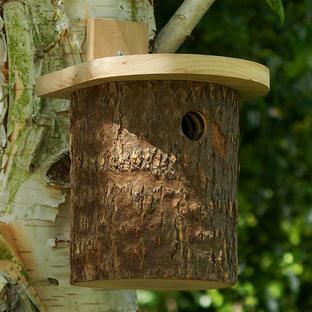 Simply unscrew the pole from the back of the tower and insert into the silver birch log and stake into the the ground. 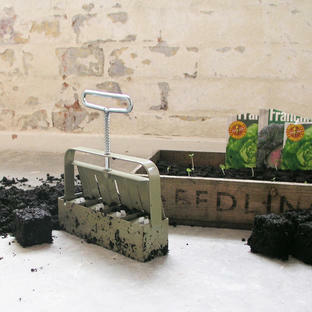 Click the banner below to help support the Soil Association help our bee population too! Opens in a new window - don't forget to come back!